Chaplains have for a long time provided care to health care team members and, in particular, following difficult situations within their nursing unit, medical practice, or health care community. In 2012, Wake Forest Baptist Medical Center in Winston-Salem, NC determined that, in order for their health care providers to continue and improve the work of end-of-life care, an essential element would be increased support for staff. The End of Life Task Force recommended the creation of a position for a chaplain for staff ministries. Through this initiative, the Chaplaincy and Pastoral Education department has researched staff compassion fatigue, intervened with evidence-based research initiatives that have enhanced staff resiliency, and is now pursuing ways of addressing moral distress among nurses. The development of the staff ministries program is a dynamic and evolving process. Through collaboration with the Employee Assistance Program, Human Resources, Employee Wellness program, and Pastoral Care, progress is being made in a transformative manner, where staff are learning new skills such as reflection, good self-care, spiritual development and trusting collaborative work. This presentation will identify what has worked and what has not worked. It will also explore the evolving nature of caring for caregivers as they provide the best in health care for patients, families and one another. 1. Determine care needs for professional caregivers - nurses, physicians, social workers, case managers, decedent care personnel. 2. Evaluate level of moral distress and compassion fatigue in hospital critical care arenas. 3. Develop avenues for care for the healthcare team within one's pastoral practice. 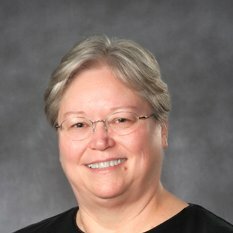 Ann S. Charlescraft DMin BCC is a staff chaplain at Riverside Regional Medical Center in Newport News, VA. She began work at RRMC, January 2015. Previously she served as chaplain for faculty and staff ministries at Wake Forest Baptist Medical Center in Winston-Salem, NC, providing a foundational program of care for health care providers. From 1997-2012, she served as assistant professor in Patient Counseling at Virginia Commonwealth University, and manager for Bereavement Services and pediatric chaplain for the VCU Medical Center. Chaplain Charlescraft completed her undergraduate studies in family relations and child development at UNC-Greensboro as well as a graduate degree in early childhood education. She received her master of divinity degree from Southeastern Baptist Theological Seminary in North Carolina and her doctor of ministry degree from Baptist Theological Seminary. In addition, she holds a VCU certificate in patient counseling and has completed training in Critical Incident Stress Management for adults and children. She has served on the boards of Full Circle Grief Center, Baptist Women in Ministry, Cooperative Baptist Fellowship and the Alliance of Baptists. An ordained Baptist minister, recognized and endorsed by the Alliance of Baptists, she is a member of APC and board certified by the Board of Chaplaincy Certification Inc. Her specialties include caring for the caregiver, compassion fatigue, bereavement care and counseling, and pediatric health care ministry. Her writings have been published in the areas of caregiver stress, program design for health care institutions for provider well-being, bereavement, and curricula for children's Christian education church programming. She is particularly interested in research on provider well-being, the intersection of complementary therapies and medical treatment for wellness, and systems theory. She has studied and trained with Russ Hudson on the Enneagram and continues to highlight personality theory and family systems theory as a means for self-understanding.